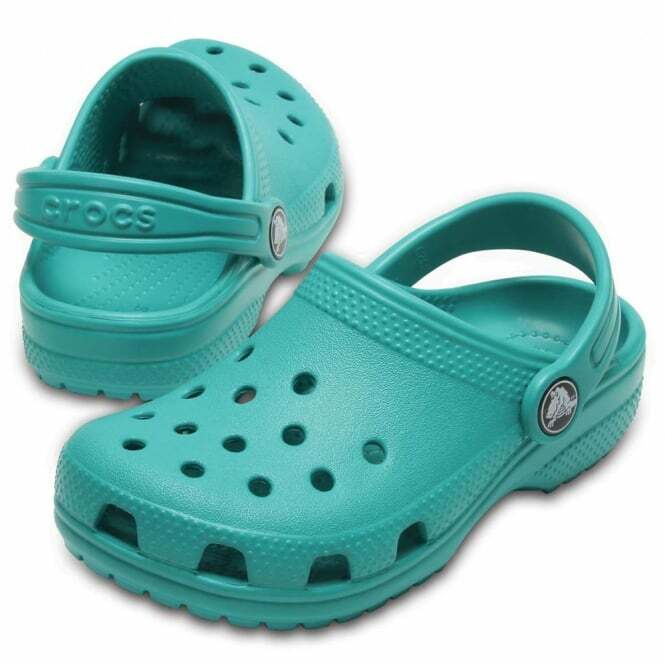 These bright and colourful, Tropical Teal Crocs Classics are great for kids at home and away. Perfect for summer days, Crocs are easy to slip on and kick off at the door as they run in and out from the garden. Crocs are made from moulded plastic and are comfy, practical and ideal for wearing at the beach too.